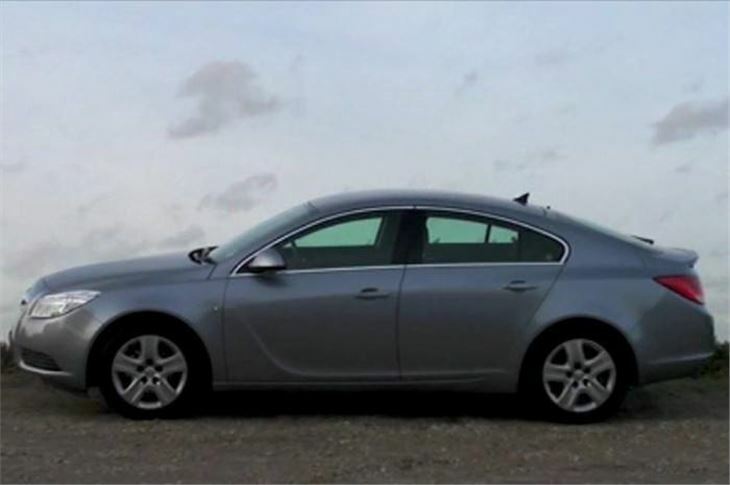 For various reasons, perhaps early criticism of the rear leg and headroom, it took the Vauxhall Insignia and I a long time to get together. And that’s no bad thing because by the time I got my hands on one they’d have time to develop and refine the model and they sent me a model that on paper rips the tyres off a Mondeo ECOnetic. To get the Mondeo down under 140g/km CO2 and thereby into a favourable BIK bracket (17% this year; 18% next year), Ford had to turn down the wick, so its 2.0 litre diesel only produces 115PS. Yet Vauxhall has managed to pull its CO2 down even lower (same BIK bracket) while still providing the driver with 160PS. 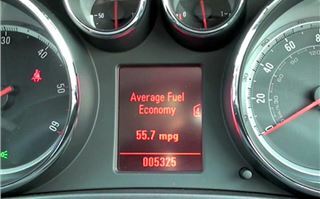 Combined claimed fuel economy is also pretty much the same at 54.3mpg for the Ford and 54.7mpg for the Vauxhall. 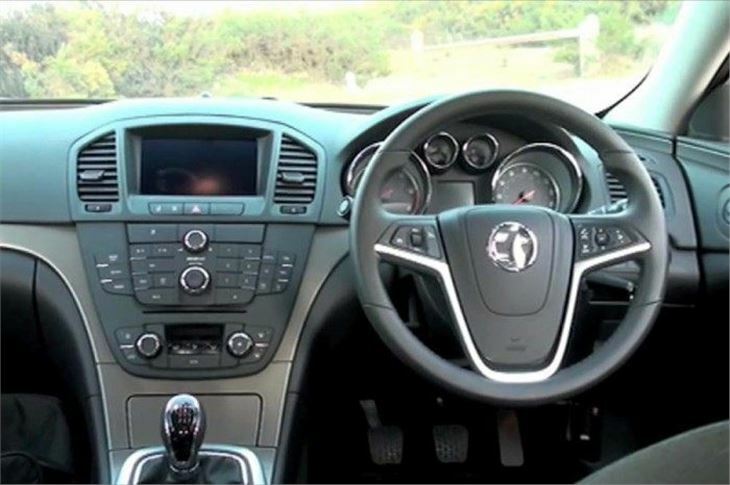 Though ‘Exclusiv Nav’ is the lowest rung on the Insignia ladder, the car comes extremely well equipped. As well as excellent line of sight 3D satnav, it includes cruise control, electric drivers seat with adjustable lumbar support, leather covered steering wheel, climate control, trip computer with large digital speed display, automatic lighting, 60/40 split rear seat with ski flap and armrest, four separate interior lights, 17” alloys with sensible 225/55 Michelin Primacy HP tyres – just about everything I could conceivably want or need and nothing I don’t. You sit very low in the car and at first the coupe-like cabin is a bit intimidating, like a Jaguar XF or a Mercedes CLS. You don’t get all-around vision, particularly to the rear three-quarters. But the electric mirrors are excellent and once you become used to the car visibility is no problem at all. 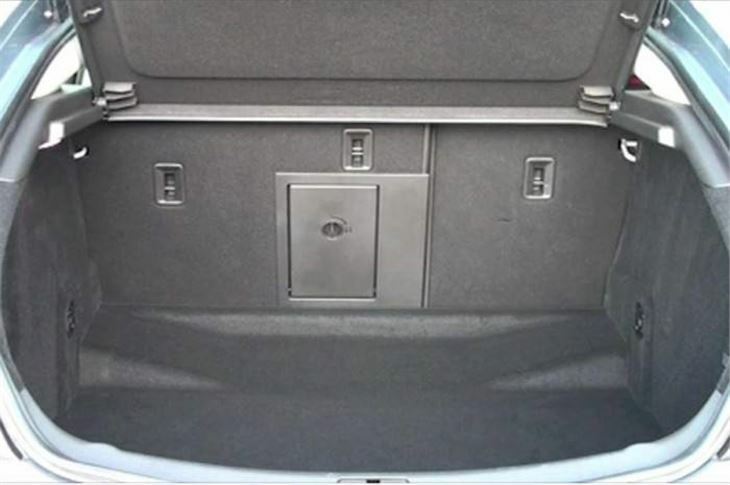 In the back there is plenty of leg and headroom for two and the seats are very comfortable. 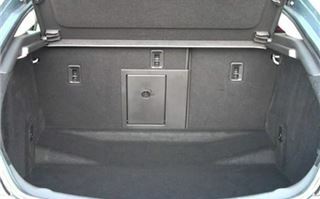 But, as with an Audi A6 and Volvo S60, a third adult could not travel more than 10 miles or so without discomfort. Which, I guess, is why they put the folding armrest/cubby/cupholder there. And, when you look at the profile and rear three quarters of the car you can forgive the styling over substance. 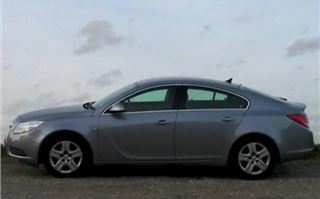 The Insignia is seriously good looking. One of the ways they got that excellent 54.7 combined economy figure was to endow the car with exceptionally long gearing: 40mph per 1,000rpm in 6th, no less. It will just about pull the car through the endless 50mph contraflows on the M1 at little more than tickover, but as soon as you get to an incline you have to change down and re-set the cruise control. Happily the car has an excellent, silken yet mechanically precise gearchange, so this is no hardship. And you soon get used to selecting much lower gears than you would normally use. 3rd, for instance, is about right for a 30 zone. 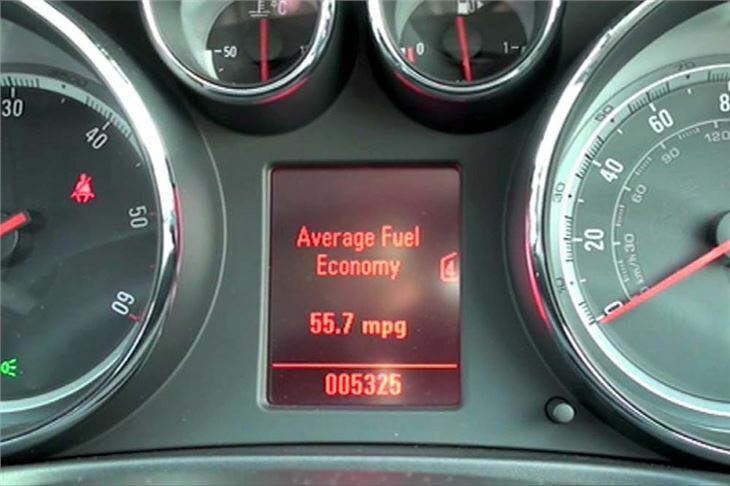 I’m not sure how the DPF will manage to regenerate with the engine continually cruising at under 2,000rpm, but I have yet to receive any reader complaints. Get the car onto a good road (unfortunately rain-lashed on our big drive) and you can actually feel the low rolling resistance of those Primacy HP tyres. Steering is a bit too light and I can understand keen drivers sacrificing economy for a better relationship with the road surface. Not me, though. Give me economy and efficiency any day in a car like this. And it does hold its line through bends well enough to get a proper move on. At the end of our long drive the display showed 55.7mpg, slightly up on Vauxhall’s figure despite being held up for an hour long traffic jam on the M1. The brim to brim calculation was close, but quite as good, but I’m not sure I was comparing identical brimmings, so it wouldn’t be fair to give that figure. 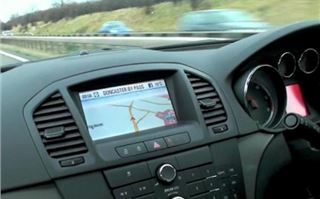 The Satnav adds £795 to the price, but that’s £795 very well spent even just for the cheerful 3D graphics and quick zoom function that allows you to find exactly where your traffic jam is and the potential escape routes. Bluetooth with a shark fin aerial is a further £175, and you’re going to have to have that. So list price of this particular car rose a bit from just over £20,000 to £21,155, meaning that, though whoever provides the car won’t pay anything like that for it, you’ll be taxed on £3,596 this year and £3,807 next year. The Insignia’s most obvious alternative is the Mondeo, and it seems to be beating the Mondeo on sales figures fair and square. 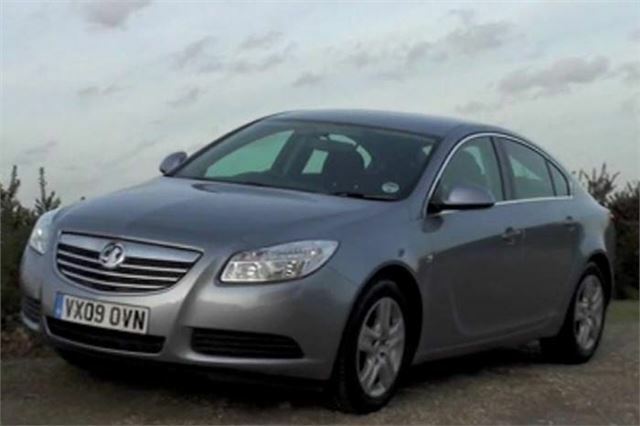 It has also raised Vauxhall’s game. It’s a considerably better car than a VW Passat, it’s good enough to be considered alongside a SEAT Exeo or an Audi A4 B8. 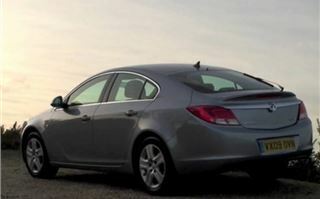 And I expect it will even put up a good fight against the forthcoming new Volvo S60 (it beats the old one hands down). Most are obviously going to be company cars that fall into private hands when they get to be 3 years old. 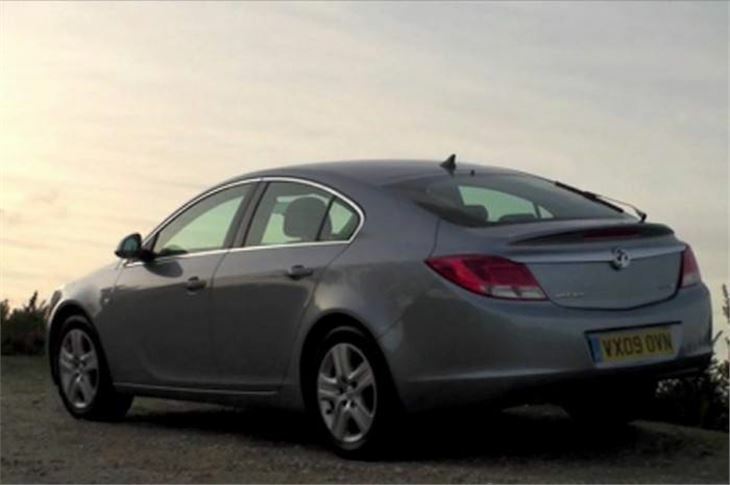 But, just as the current Mondeo is a class above the old Mondeo, the Insignia is in a different league from the Vectra entirely. They will still be cheaper used than Audis, BMWs and Mercedes. But not by anything like as much as they used to be. So even if you buy new, privately, at a sensible discount, you’ll be getting more car for the money without facing a severe loss at the back end. For prices, specifications, engines, transmissions, dimensions and performance date, please click the tabs.